Check out the just-released list of colleges and universities that are among the larger list of Best Workplaces for Commuters published by the Center for Urban Transportation Research (CUTR) at the University of South Florida. The majority of the academic institutions on the list are IPI members! The designation recognizes employers that offer exceptional employer-provided commuter benefits that meet National Standard of Excellence criteria. 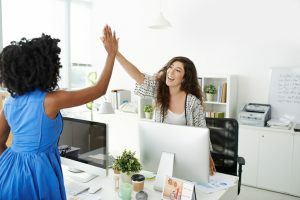 To be designated among the nation’s Best Workplaces for Commuters, employers must provide benefits that result in at least 14 percent of their employees no longer driving alone to and from work within a 12-month period. As a resident of Virginia (where IPI is headquartered), I’m also proud that our commonwealth ranked No. 1 among the top 10 states with current Best Workplaces for Commuters, though sometimes at rush hour, it doesn’t quite feel that way! 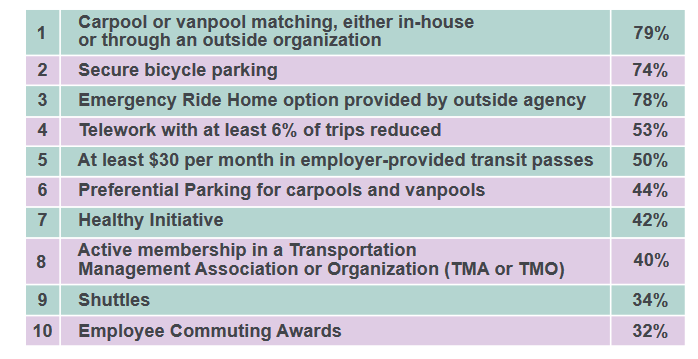 Below are the Top 10 Commute-Friendly Programs offered by Best Workplaces for Commuters. Access more facts here.